Seez Mics has been chipping away and carving a rather dense and solid reputation for himself in the DC/MD area for almost 2 decades with his former group Educated Consumers and is now proud to present his debut album out on Strange Famous Records! 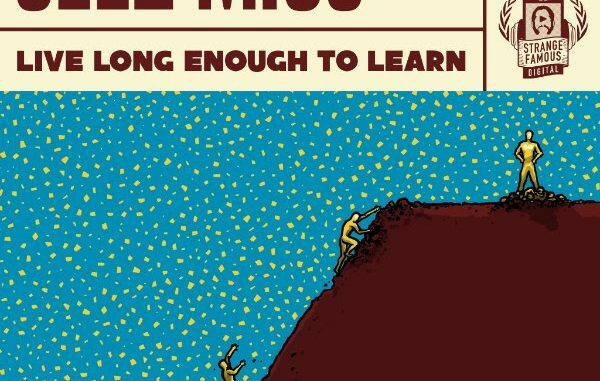 His debt album Live Long Enough to Learn is a maturation of views and the position he has held in not only Hip-Hop but multiple facets of life as well and his uncanny ability to paint pictures and express himself makes it one of the best put together albums from the indie rap world this year! Additionally he has a posse cut with Slug of Atmosphere and Open Mike Eagle as well as additional features by Sage Francis, Barbara van der Vossen, DJ Idee and production by not only Strange Famous label mates Prolyphic and Aupheus but also by L’Orange, Steve Bills, Cool Poindexter, Ardamus, Scott Kuzner, The Dogglegangaz, Max Bent, Doze and Ecid. Check it out below!